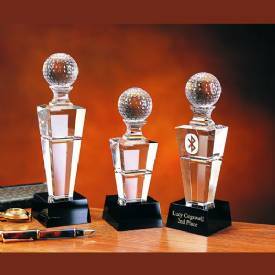 Product Description: This optical crystal horizon golf award has a tapered base with agolf ball set on top. 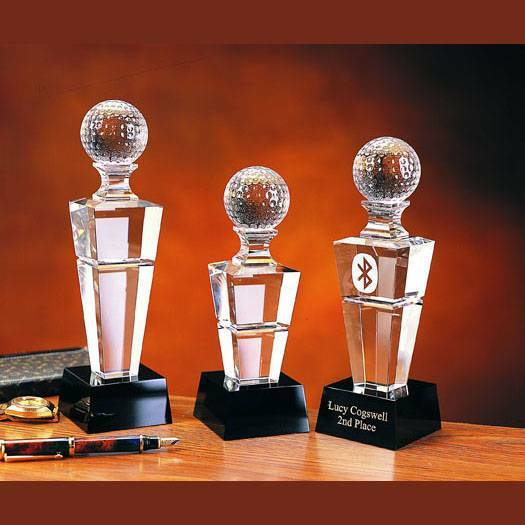 Room for engraving your text and/or logo on this crystal golf award. Size: Small - 9"H x 3"Sq. Medium - 10"H x 3"Sq. Large - 11"H x 3"Sq. Pricing Notes:Text and/or logo engraving, on one location, is included in the price. Engraving and/or color fill of text onadditional locations is available at an additional charge. Please see options below.